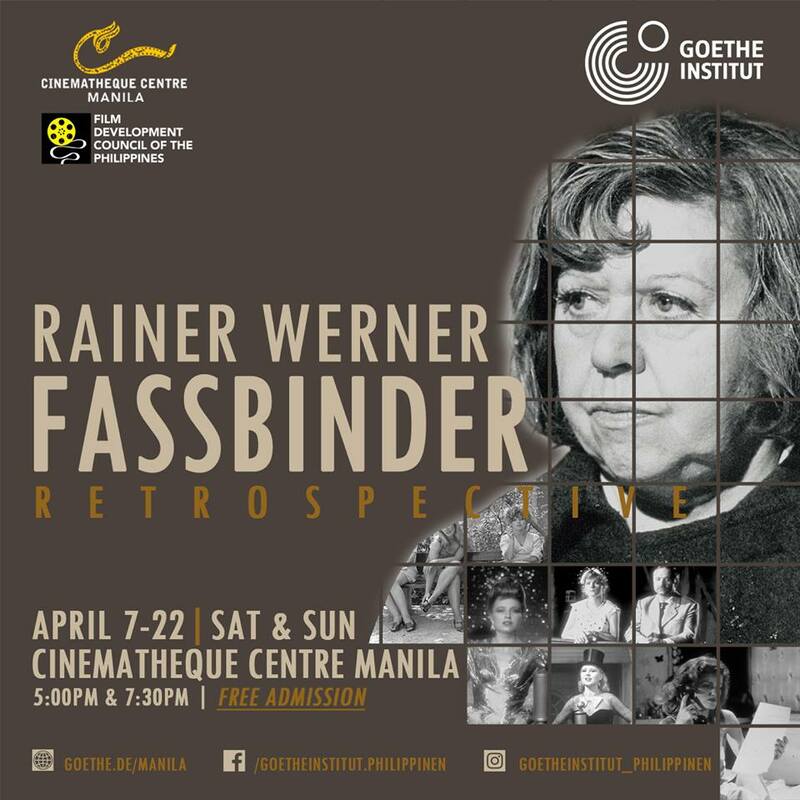 This summer, the Goethe-Institut Philippinen presents some of the best works of the well-acclaimed German filmmaker, Rainer Werner Fassbinder, in a retrospective exhibition that's free for all. Eleven Fassbinder films including a documentary about him will be screened every weekends from April 7 to April 22 at the Cinematheque Centre Manila. ADMISSION IS FREE! 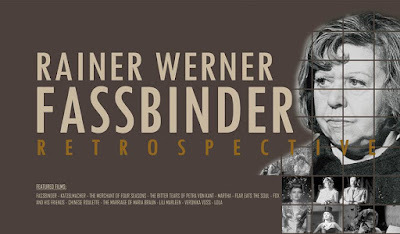 Rainer Werner Fassbinder (1945–82) is one of the most polarizing and influential figures of the New German Cinema. He is famously known for his short-lived yet exceptional and remarkable career that lasted for nearly 16 years until his death in 1982. 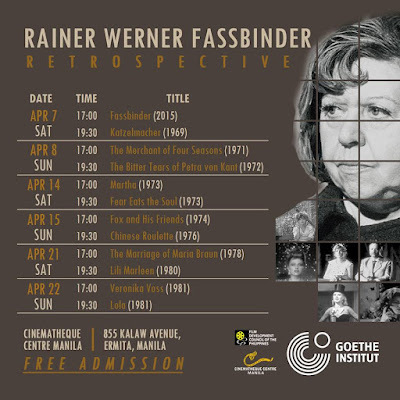 Fassbinder's artistic productivity resulted in a legacy of 39 films, 6 TV movies, 3 shorts, 4 video productions, 24 stage plays, and 4 radio plays. On top of that, he was also an actor, dramatist, cameraman, composer, designer, editor, producer, and theatre manager for some of his films and productions, yet he managed to combine all of it into a comprehensive, always expanding, retrospective, and progressive unity. Fassbinder's films encompasses everything from intense social melodramas, Hollywood inspired female-driven tearjerkers, epic period pieces, to dystopic science fiction as well. But what all his films have in common is their radically personal way of portraying society. His demonstration of his deep sensitivity to social misfits and hatred to institutionalized violence in his films made him one of the most important catalysts of the New German Cinema Movement. The film screening is free admission on a first come, first serve basis. 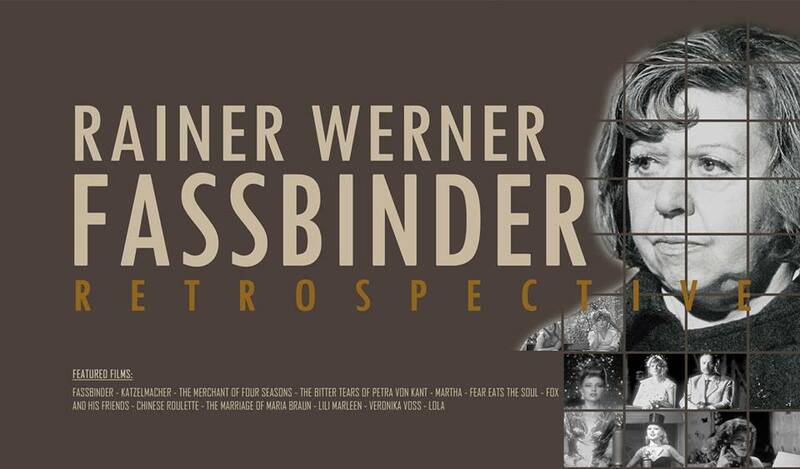 For more information about the Werner Fassbinder Retrospective, visit www.goethe.de/manila.